subwoofers, two midrange speaker and twotweeters. Mounting hardware and cable supplied. that will benefit any musicalgenre. unobtrusively but effectivelyinto any motor vehicle setting. As a result, the Auna CS Comp-12 deliversa much more nuanced and sophisticated sound that will benefit any musicalgenre. 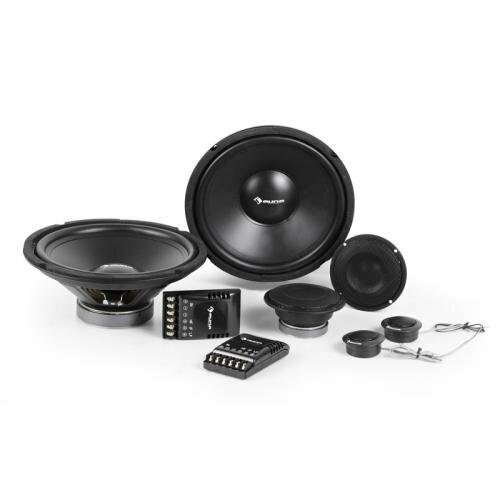 | The power of these speakers is setstylishly within jet-black walls, which will fit unobtrusively but effectivelyinto any motor vehicle setting.